The Governing Body includes volunteers from all areas of the community in which we work and live. This enables us to use our experiences and knowledge to support the pupils and staff when creating and sustaining a happy and successful learning environment for everybody at Navenby School; pupils and staff alike. As volunteers and lay people in the field of education we are always very conscious of the importance of working as a team with staff and our most important role is to support and advise whilst bearing in mind the excellent skills amongst our talented staff. Although we meet as a whole body, each of us serve on one of two Sub– committees to ensure that we are involved with both the management of resources and the maintenance of standards and well-being at the school. 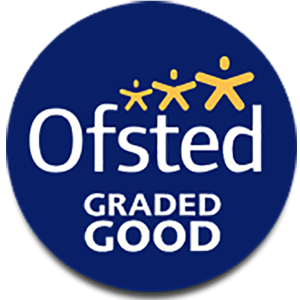 Our role is very varied from helping to make decisions about budget allocation, health and safety where the school buildings are concerned, to monitoring subject delivery across the curriculum. The most rewarding aspect of being a Governor of Navenby School is seeing the pupils happy both in the learning environment and out at play and the staff looking relaxed and cheerful whilst at the same time knowing that as a team we are all working towards one goal: ensuring that each individual child maximises his/her potential and eventually leaves Navenby having had a very positive primary school experience. If you would like more information about the Governors, their meetings and role or are interested in becoming a governor in the future, please contact the Clerk to Governors or the Head teacher.